Piaggio Aero and Selex showcase P.1HH HammerHead at Dubai 2013 and announce first flight. TThe flight readiness of the P.1HH DEMO flight test bed had been confirmed by the first flight, which occurred on Thursday 14th November 2013, at the Trapani (Italy) “Birgi” Italian Air Force base. “This has been an incredible year for Selex ES unmanned ISTAR capability. Our deep knowledge of UAS and capacity to deliver integrated systems are at the centre of this ambitious project, a real cornerstone in the European and international MALE scenario. Furthermore, our flagship tactical UAS has secured new customers and our ISR sensors range continues to grow. Working with Piaggio Aero on the P.1HH is a unique and fruitful experience, that is proving how Selex ES can provide the right level of technology, under a very tight schedule and challenging requirements, even in case of a highly innovative environment,” commented Fabrizio Giulianini, CEO of Selex ES. On 8th August 2013, the P.1HH DEMO flight test bed made its first lift-off, performing a short level flight and then landing smoothly on the remaining runway, while being remotely piloted. The P.1HH HammerHead is a multipurpose state-of-the-art Unmanned Aerial System designed to meet the need for a high-tech solution for intelligence, surveillance and reconnaissance missions (ISR). The P.1HH remotely piloted aircraft features automatic take-off and landing capabilities, making it able to fly up to 45,000 feet, with an outstanding endurance of 16 flight hours. The UAS systems will be fully compliant with the STANAG USAR 4671 standards that enable the UAV to fly in both restricted and unrestricted flight areas. 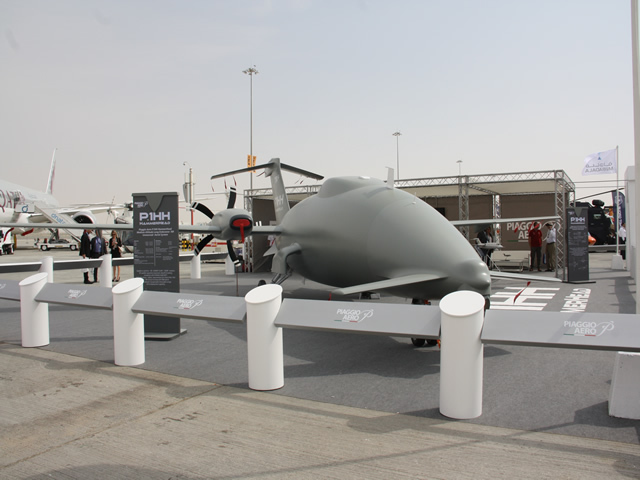 The P.1HH HammerHead UAS platform is a derivative of the Piaggio Aero P.180 Avanti II aircraft, newly designed for ISR multi mission purposes. The remotely piloted aircraft’s main features are: an enhanced airframe, increased aerodynamic configuration with a reinforced wing providing an increased surface and higher aspect ratio. 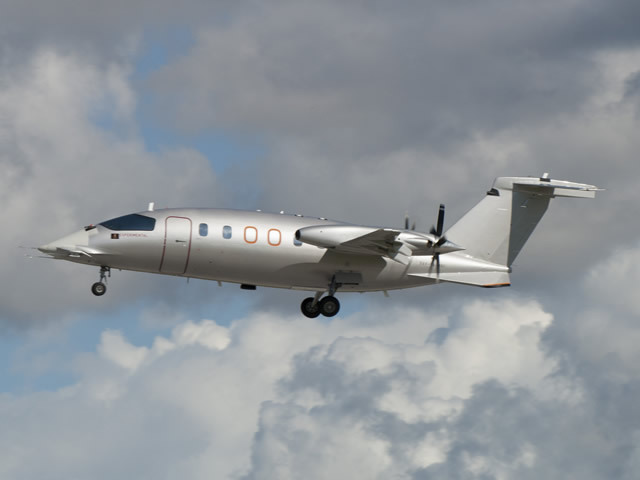 The aerodynamic configuration is based on the development of new wings providing a 15.6 m wing span with the subsequent modification of the previous P.180 aerodynamic design but maintaining Piaggio Aero’s patented 3 lifting surface configuration. The P.1HH HammerHead aircraft features a removable external section wing in order to guarantee easy ground transportation and provide operational flexibility in any environment. This modified aerodynamic configuration underwent extensive low speed/high speed wind tunnel testing to validate both its design and performance.